Each employee has certain rights that their employer must adhere to. Take time to go over these rights and make sure you fully understand each one and that they are all being met in the workplace. For example, as an employee, you have the right to have any health and safety risks properly controlled. You should also be provided with free safety equipment and you are always free to leave the work area if you have concerns about your safety. 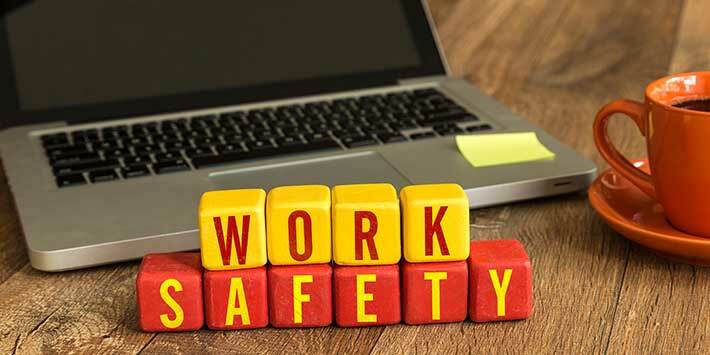 Every workplace will have its own safety rules and procedures according to their specific industry and the line of work involved. Make sure that you are aware of these rules and know what to do in a time of emergency. Do you know where you nearest emergency exist is? What are the measures that must be taken in a time of emergency? Familiarise yourself with these rules so that if your safety is ever in danger, you will know exactly what to do and how to do it. If you work in the medical profession or even in the food industry, there will be times when you may be in contact with potential bacteria and germs. You should always take the necessary precautions when faced with this type of situation. For example, wearing latex gloves is an absolute must when participating in medical examinations or handling chemicals such as household cleaning products and solutions etc. When faced with stress at work, it can be difficult for the body and mind to function normally. This can cause a string of problems and can lead to health issues such as sleep deprivation, depression and an inability to concentrate on the work at hand. Communicate your worries with your colleges and employer and remember that your mental health is just as important as your physical health. One of the most common work-related injuries is back and shoulder pain. This can be caused by a variety of reasons such as carrying heavy loads and not understanding how to do so in the safest way possible. According to Better Health, you should lift with your thigh muscles and keep the load close to your body. If you work in an office and spend most of your time sitting in your chair, don’t be afraid to get up and move around every once in a while. Sitting all day can take a serious toll on your back and posture, so ensure you take a break and sit up straight. Slouching will only lead to further back pain and discomfort.